The Saints won't be shut out of the 2016 Pro Bowl after all. The New Orleans Saints will not be shut out from the 2016 NFL Pro Bowl after all. While the team didn’t see any players voted into the game, we now officially have a Saints player, who was definitely deserving of the honor, heading to Hawaii. Jordan finished up the year with 45 tackles, 10 sacks, five passes batted down and a forced fumble. 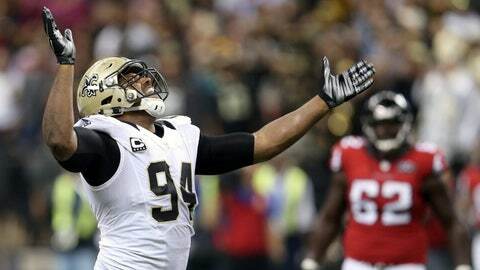 While the Saints struggled defensively as a unit in 2015, Jordan has proven to be a key piece of the team’s future. Jeff Smith writes about the NFL for FOX Sports. You can find him on Twitter @JSM8ith.